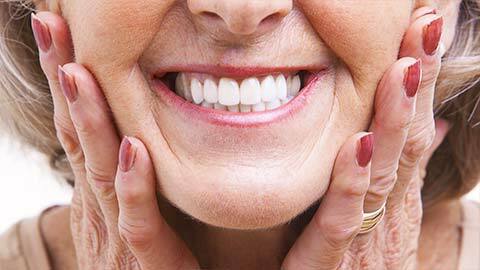 Many people, particularly seniors, experience permanent loss of their teeth. Whether from age, gum disease, illness, accident, or just personal choice, it’s estimated up to 25% of older adults have lost all their teeth. Tooth loss not only makes it difficult to eat and speak properly, but also causes social issues due to embarrassment and loss of confidence. After all, our smiles are the first thing people notice about us. Doesn’t everyone deserve to have a great smile? For many years, dentures have been the go-to replacement option for patients with permanent tooth loss, and no wonder! Attractive, comfortable, and affordable, dentures can replace a partial or full set of teeth, and are easy to care for and maintain. Made of artificial teeth set into an acrylic base that fits over the gums, dentures are custom-fitted to your mouth to give the most secure and comfortable fit possible. Whether you already have dentures or are considering getting them, Williamsburg Smiles can make certain you have what you need to make an informed decision and provide the denture services to restore your smile to its full glory. Trust us with your denture needs, and you’ll be eating, drinking, and talking with confidence before you know it! 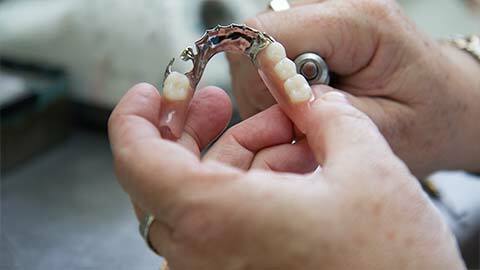 If you need more information about Dentures in Williamsburg, contact us today.